The scandal involving Cambridge Analytica’s abuse of Facebook data underscores the point. Not so with Trump. As soon as Facebook realized that Cambridge Analytica had pursued a similar strategy, they suspended the firm. This whole hullaballoo about Facebook isn’t complicated. 2. Democrats/Left declare social media in “crisis,” threaten legislation. Again, this isn’t surprising. Since Trump’s election, Democrats — in search of a rationale for their favored candidate’s defeat — have blamed a bevy of social media outlets. Senate Democrats trotted out pathetic Russian-created memes on Facebook, viewed by a handful of human beings, as an excuse for Hillary’s loss; Democrats claimed — without evidence — that “fake news” had swamped Facebook and thus led to Trump’s victory. Democrats have also insisted that Facebook be regulated. Sen. Dianne Feinstein (D-Calif.) raged, “You’ve created these platforms, and now they’re being misused, and you have to be the ones to do something about it. Or we will.” Facebook’s former privacy manager called for the government to step into an oversight role regarding Facebook. Josh Meyer is not an ideologue, not a partisan, not a quack. Matthew Continetti writes: ;Nothing has been more tedious over the last year than the constant reminders that good journalism is “now more important than ever.” The implication, of course, is that solid, groundbreaking reporting was not as essential so long as a liberal Democrat was in power. I’ve long assumed that the factotums mouthing such clichés lack the self-awareness to understand the true import of their words. But maybe I’ve been wrong. Recent days brought evidence that, no, liberals really mean it: The only meaningful investigative work is that which reflects poorly on Republicans. However, as investigators came closer to unraveling the globe-spanning conspiracy, “the Justice Department declined requests by Project Cassandra and other authorities to file criminal charges against major players such as Hezbollah’s high-profile envoy to Iran, a Lebanese bank that allegedly laundered billions in alleged drug profits, and a central player in a U.S.-based cell of the Iranian paramilitary Quds force.” Linger over that last item for a second. Meyer cites “dozens” of interviews and documents as evidence. He quotes a veteran U.S. intelligence operative — the sort of guy whose every utterance is anonymously paraded in the newspapers and magazines so long as it’s anti-Trump — who says, “This was a policy decision, it was a systematic decision.” And the reason for this systematic decision, presumably, was to make Hezbollah’s Iranian backers more willing to deal with the Obama administration on nukes. New technologies have disrupted news media over the past 20 years — but one report says that’s just the beginning. 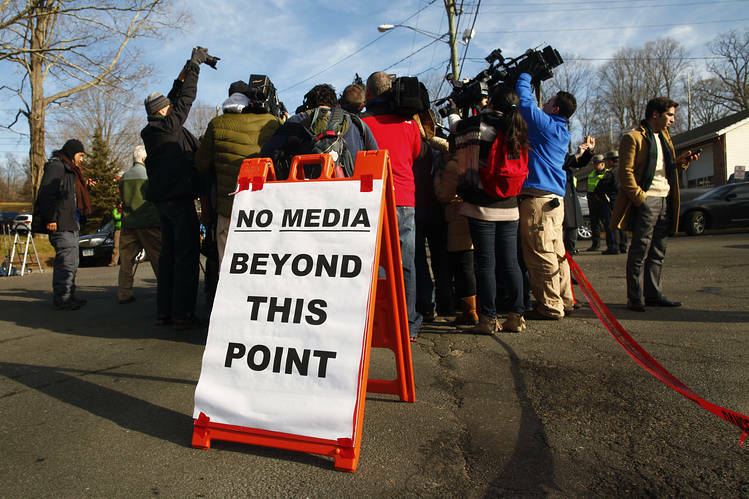 Washington (AFP) – If you think technology has shaken up the news media — just wait, you haven’t seen anything yet. The next wave of disruption is likely to be even more profound, according to a study presented Saturday to the Online News Association annual meeting in Washington. News organizations which have struggled in the past two decades as readers moved online and to mobile devices will soon need to adapt to artificial intelligence, augmented reality and automated journalism and find ways to connect beyond the smartphone, the report said. “Voice interface” will be one of the big challenges for media organizations, said the report by Amy Webb, a New York University Stern School of Business faculty member and Founder of the Future Today Institute. The institute estimates that 50 percent of interactions that consumers have with computers will be using their voices by 2023. “Once we are speaking to our machines about the news, what does the business model for journalism look like?” the report said. Webb writes that most news organizations have done little experimentation with chat apps and voice skills on Amazon’s Alexa and Google Home, the likes of which may be key parts of the future news ecosystem. “Journalism itself is not actively participating in building the AI ecosystem,” she wrote. One big problem facing media organizations is that new technologies impacting the future of news such as AI are out of their control, and instead is in the hands of tech firms like Google, Amazon, Tencent, Baidu, IBM, Facebook, Apple and Microsoft, according to Webb. Keith J. Kelly reports: Reporters at the New York Times could soon be “vulnerable” to the ax. If the ongoing round of voluntary buyouts being offered to editing staff does not get enough takers, the Gray Lady could begin another round, NYT Executive Editor Dean Baquet recently warned his top department editors. “Up until now, the company had not indicated that layoffs would happen if targeted numbers weren’t achieved,” Grant Glickson, president of the NewsGuild, told Media Ink. As part of the NYT’s ongoing restructuring of its editing ranks, 109 copy editors have had their jobs eliminated. There are estimated to be about 50 new jobs available in the restructured editing operation that the Times envisions for its digital- and video-oriented future. When the downsizing was first revealed in late May, a memo from Baquet and Managing Editor Joe Kahn portrayed the cuts as a “streamlining” of the editing process and indicated that some of the savings would be used to hire up to 100 more journalists. Paul Bedard writes: In the latest sign that Washington operates in an alternate economy, journalism jobs around the country dove 22 percent in the last 10 years, but they spiked a whopping 38 percent in the nation’s capital, according to a new economic study. What’s more, salaries for Washington journalists rose 7 percent while diving nationally. While 12,000 reporting jobs were eliminated in most markets in the last decade, the Washington journalism market expanded from 2,190 to 3,030. That is more than five journalists for every single House and Senate member. In New York, by comparison, the drop was historic, from 5,330 jobs in 2005 to just 3,478 in 2015, said the study from Apartmentlist.com. The study reviewed rents in major cities and showed how rents have spiked while the salaries of reporters hasn’t. That gap may be responsible for the shift by reporters, even award-winning journalists, to better paying public relations. Two videos: 1, the New York Time’s “Truth” ad, which itself stands as mockery against the Times, then 2, the NRA’s rebuttal to the NYT ad.